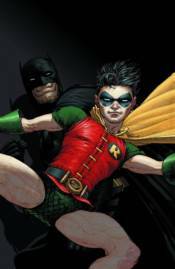 Frank Quitely's finely detailed artwork has been gracing the pages of DC comic books since he the 1990s. Quitely quickly earned a name for himself illustrating fellow Scotsman Grant Morrison's FLEX MENTALLO, JLA EARTH 2, as well as Neil Gaiman's SANDMAN: ENDLESS NIGHTS. This title collects all of Quitely's Paradox BIG BOOK stories, his ALL-STAR SUPERMAN and BATMAN & ROBIN covers and much, much more!